Schaumburg, IL (November 2016) – LEINE LINDE SYSTEMS is proud to announce the new ADSR®, the first diagnostic system for analyzing condition and predicting remaining service life within slip rings, especially useful in onshore and offshore wind turbines. This is a new smart solution for condition-based maintenance of slip rings. The centerpiece of the ADSR® are the integrated sensors for measuring vibrations, the level of voltage and current, number of revolutions, internal and external humidity, and temperature. 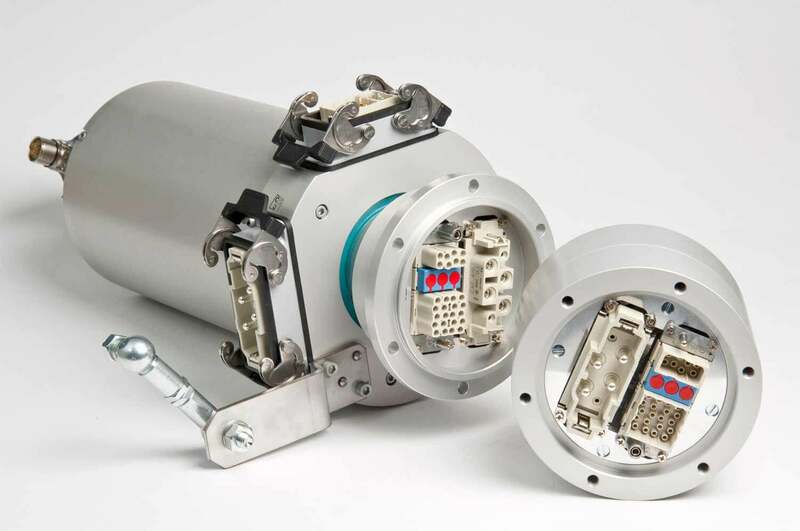 This systematic monitoring and analysis enables the expected remaining service life of the slip ring to be displayed, both in terms of time and revolutions. Having this knowledge in advance makes it possible to use up the slip ring’s entire service life. Unforeseeable failures will only rarely occur, and provides a positive impact towards the efficient operation of wind turbine power plants equipped with an ADSR®. It is important to note that on- and offshore wind turbines and wave & tidal energy plants are usually geographically distributed, and are therefore relatively far from service stations. Thus, unexpected servicing is incredibly involved and expensive. And pitch slip rings, which supply the rotor hub with voltage, signals, and data, are subject to wear due to their design. The ADSR’s diagnostic system continuously monitors the contact systems and other key functions of the slip ring, enabling condition-based maintenance for optimized value added. The information and warning messages sent via the diagnostic system made available using network interfaces and are displayed by an LED on the slip ring. Maintenance personnel benefit from a browser-based web monitor that can be opened anywhere in the world to view the current status, as well as meaningful reports and analyses. The slip ring optionally communicates data to customizable interfaces using the OPC-UA industry standard – an especially convenient feature. The ADSR® slip ring is customized to meet specific individual design requirements and supplied from one single source. LEINE LINDE SYSTEMS GmbH is headquartered in Hamburg, Germany, and is an independent company within the HEIDENHAIN Group. It offers a wide range of components and systems, which have already been deployed in wind energy applications for many years. Its products include heavy-duty rotary encoders for small and large, fast and slow shafts, and generator and pitch slip rings. What’s more, the company offers its FSR, contactless rotary joints, pitch motors for individual pitch control, sensors for condensation, moisture, and temperature measurement, an ice prevention and monitoring system IPMS®, the elongation measurement system EMS, the PITCHMO® and YAWMO® sensors, prefabricated cables and switch cabinets.